Adele has broken Beyoncé's record for fastest selling album on iTunes due to '25' selling 900,000 downloads in 24 hours. When Bey released her surprise self-titled album in 2013, she broke U.S. iTunes sales record, selling 617,000 in just three days. Records held by Britney Spears and *NSYNC were also shattered the moment Adele released her new album '25.' 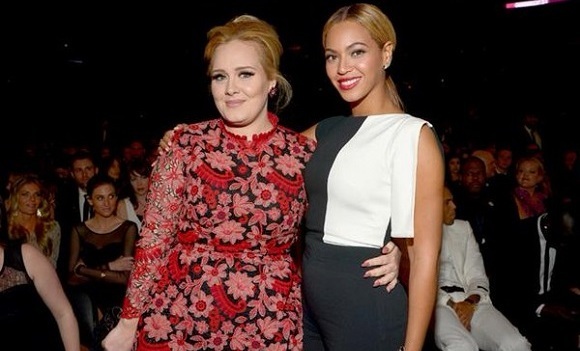 Now Beyoncé has "fallen" victim to losing an album record at the hands of Adele. Dayuuum. Who else is this chick going to trample over in the coming months? Will anyone in this lifetime ever be able to beat Adele's record?